THE GUAM BASKETBALL SUMMIT 2015 IS SET FOR THIS WEEKEND! Guam Basketball Confederation (GBC) is pleased to announce that referee Felix Benavente Jr. has received his FIBA Referee License. Basketball player Michael Sakazaki became the first Guam athlete to earn the Oceania National Olympic Committee’s Foundations Scholarship. U19 MBT is Around the Corner! Jon Lujan, Guam's NBDO, secured a Gold Sponsor: Linda's Coffee Shop. The tournament is developing. The Guam men led at every quarter of their semi final against RMI, but the score did not indicate the closeness of the game. Guam's 75-51 win takes them to the gold medal game, while RMI will play for bronze.Vince Estelle was the game high scorer with 18, while Frederick Schoniber put in 11 for Marshall Islands. UOG girls played a strongly in the 3rd quarter, outscoring the Guam junior girls 16 to 8. The last quarter was 16 all, with Catherine Aquinde putting in a fast break basket in the last second of the game to secure a 50-49 win for UOG. Momoko Ennis from the junior team top scored with 20 points,while Gemma Datuin was best for UOG with 13. As with the girls final pool positions, the men's division saw 3 teams tied on second place. After calculating the for and against points for the 3 teams, the final result saw the young Guam Juniors come in 2nd place, followed by Palau in 3rd and Marshall Islands in 4th spot. Guam men came first in the round games. ANNOUNCEMENT: Anyone interested in going to China? Guam Basketball Confederation is looking for players interested in trying out for the Men's and Women's National teams that will be traveling to China to represent Guam at the East Asia Games. Please contact Tony Thompson at fdadmin@guam.net. 11 teams coming together for the MBT Opening Ceremony. Guam long serving basketball official, Mr. Bob Pelkey, declared the tournament officially open. Susan Lupola from GBC made the Oath of Sportsmanship on behalf of the participants. Mr. Perez, choir teacher from FDMS, had the honor of singing the Star Spangled Banner and the Guam Hymn (Fanoghe Chamoru). Once again GBC will be assisting in the upcoming VISION YOUTH CLUB 3x3. All rules and regulations will be FIBA 3x3. Guam basketball recently held their Officers' Elections on Saturday, March 31, 2012. For the next 3 on 3 Tournament, please visit the GBC Facebook. Become our friend and get in the loop about tournaments, World Games, and International Basketball. The first ever FIBA 3x3 mandated 3on3 tournament sponsored by KUAM and run by the Guam Basketball Confederation. (Mangilao, GUAM) – Monday, January 9th, 2012 – Newly appointed Men and Women’s National Basketball Team Head Coaches, EJ Calvo and Tony Thompson, are wasting no time getting started with an Open Training Camp for the Men and Women’s Basketball Program starting on Thursday, January 12th, to be held at the FD Phoenix Center in Mangilao at 7pm. What do you do when you're up against players that just DUNK on you? Give them a challenge - PLAY YOUR HEART OUT. Defending 30 miles of land are 12 Men and 9 Women. Pacific Games - HERE WE COME! GBC invited and accepted to join the FIBA 3x3 Youth World Championship in Rimini, Italy. The final TRAVELING team rosters for both Men and Women is in! Both Guam 1 and the Girl's Team capture GOLD! So far, the Guam Teams are doing well in the 5-Day tournament in Palau. The Palau Basketball Federation website has all the game details and scores for the Micronesian U15 boys and girls (western) conference games. Click here to go to their website to follow the 2 men's and 1 women's team from Guam. Jon Lujan, 15u Girls Coach, get the girls' ready for Palau. Women's National Team win March Madness Championship and two MVPs' named from the Naitonal Team. Sponsored by Payless Supermarkets, the Women's National Team dominate women's league. Congratulations to Our Men and Women's Team! Host organisers have just completed the installation of the official competition basketball court ahead of the Youth Olympic Games that gets underway on 14th August in Singapore. This event marks the debut of FIBA 33, the official 3 on 3 version of basketball. Former Stars Prove They've Got GAME! Youth League TIP OFF TOMORROW! FIBA 33 Rules and Regulations? What is that? Gatorade/Moster Energy League Kicks Off Tonight! On the following page you will be able to download the first Oceania All Star newsletter, which contains all the information about the All Star tour to Australia in February 2009. FIBA Oceania may have access to a 2009 grant for women, and just one island federation will get it all! 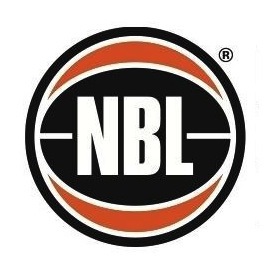 The funding could be worth approximately $15,000.00AUD, and will be given to just one Basketball federation in the zone. FIBA Oceania is inviting interested island Federations in the zone to complete the application form for the 2009 funding. If successful, the grant must be used for the employment of a female basketball development officer for a 12 month period. FIBA Oceania will have a strong influence in the selection of the development officer, the formulation of the work program and the monitoring of the program. Closing date for applications from the federations is 31st July 2008. No late nominations will be accepted. FIBA Oceania have sent a newsletter with the latest information about the 2008 Youth Tournament to all Federations. Bob Pelkey held his second organization meeting to discuss plans for the 2008 Oceania Youth Tournament. The Oceania Youth Tournament Organization meetings are well under way to make plans for the games which will be held for the first time on Guam on September, 28th- October, 4th 2008. Volunteer scoretable and statistic officials have been hard at work before the MBT, ensuring they were familiar with the FIBA scoring and statistics methods. Team Guam arrives safely in the Philippines.